KANE GeoTech, Inc. then analyzes the information to develop solution options. Sophisticated analyses tools such as FLAC and ROCKPACK for slope stability, CRSP for rockfall, LPILE for deep foundation design, and others are used to evaluate the possible solutions. Clients then recieve a detailed Report of Findings describing the problem, the investigation, and recommended design approaches. Once a design is selected, KANE GeoTech, Inc. produces specifications and detailed AutoCad design drawings for bidding purposes. After bids are awarded, KANE GeoTech, Inc. provides quality assurance and final acceptance services. KANE GeoTech, Inc. has extensive experience using the Colorado Rockfall Simulation Program (CRSP) software on numerous projects. 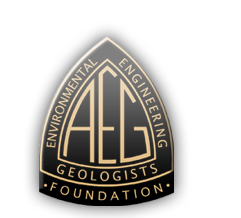 This allows us to design mitigation strategies adapted for both common and unique potential rockfall hazards. KANE GeoTech, Inc. uses the state-of-the-art FLAC (Fast Lagrangian Analysis of Continua) software program for continuous or finite element-type analyses to identify potential failure regions for slopes in geologic materials. Unstable rock masses are often extremely complex assemblages of geologic structures and rock types, both of which affect slope behavior. KANE GeoTech, Inc.’s engineers and geologic technicians are skilled at collecting accurate input characteristics of these rock masses and running stability analysis with the ROCKPACK software.